London Embroidery Font #3, Small - 5 Sizes! This is going to be our new favorite for wedding gifts! We are so in love with this font! Gorgeous on baby, child and adult projects! If you need numbers, punctuation or other uppercase letters to match this set, see London #1, sold separately below. Sized to pair with any other London letters in the same size. All 1″ files are sized to work together, all 1.5″ are sized to work together and so on. Actual sizes from set to set will vary greatly depending on the sizes of the swirls and swashes and some may require a larger hoop because of this. 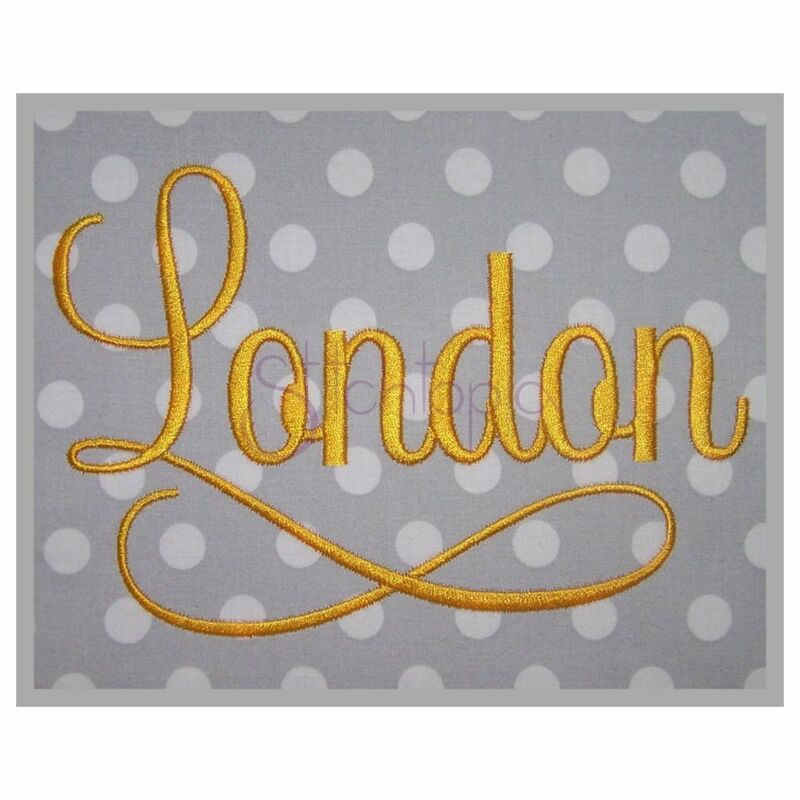 London Embroidery Font #1, Small - 5 Sizes! 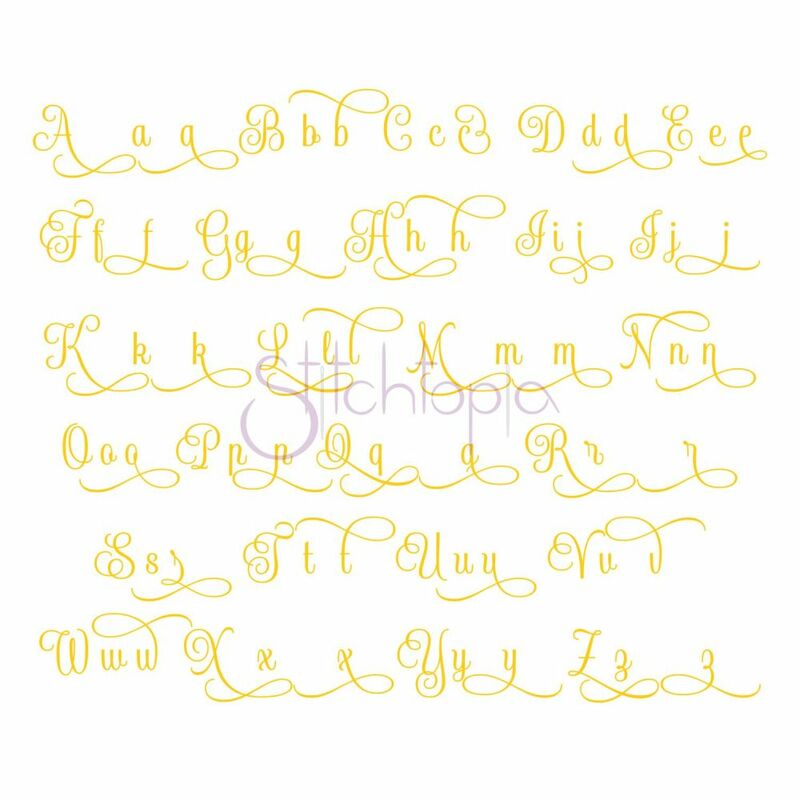 London Embroidery Font Complete Set, Small - 5 Sizes! London Embroidery Font #2, Small - 5 Sizes! London Embroidery Font #4, Small - 5 Sizes! Sizes of letters vary due to swirls and may require a larger hoop. This design is also available in a larger set. Just click on the "London Embroidery Font Complete Set, Small - 5 Sizes!" link in the "You might also like" section for more information.